I want to thank everyone who has been so eager to help make quilt blocks for two very deserving children. The goal of this blog post is to share links to some completed blocks, ideas for other blocks that would work well, and at the end of the post I have a couple of quick tutorials for a block that would work for each quilt. I hope that between the original post where I requested quilt blocks and the content of this post, inspiration will strike you! Please continue to leave comments or email me with any questions that might arise. If you love to paper piece, how about a free 6-inch by 6-inch sailboat block pattern? And sticking with the paper piecing theme, here is a free download from Craftsy for a 7-inch by 7-inch music note block pattern. Sam @Diary of a Madfabriholic made a beautiful improv music / blue block. So along with paper piecing ideas that match the theme, fussy cutting a focus fabric and surrounding that panel with other coordinating colors could be a great way to create a quilt block. Below are two quick tutorials for some simple pieced blocks that would also be welcome additions to the quilts. The goal of this tutorial is to create a boat block just like the inspiration block that was made. 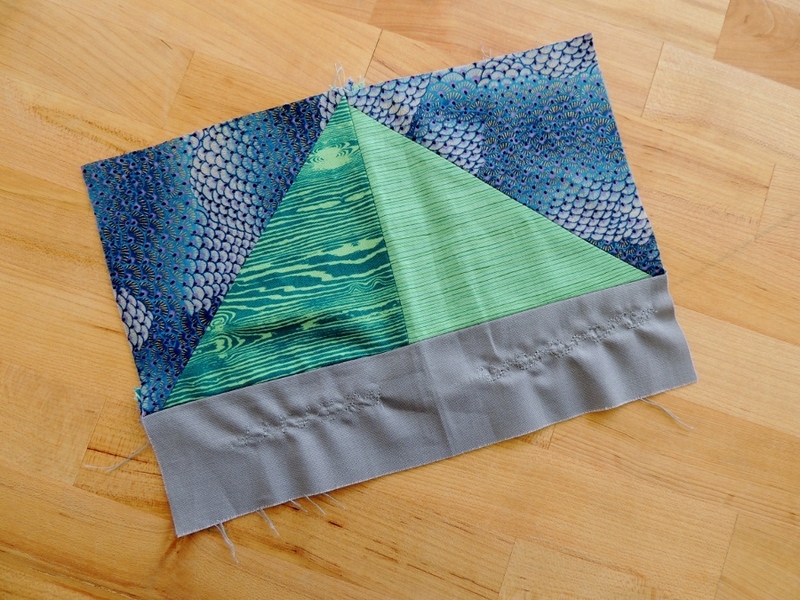 Step 2 – With right sides together, sew a quarter inch seam allowance to combine fabrics A and B1 and A and B2 to create (2) half-square triangles (HSTs). You will have one left over triangle from B1 and B2. I think that the music themed quilt blocks might be the hardest to come up with ideas, so I whipped up this fun and fast piano keyboard block, and if others are created a longer chain of the blocks can be put together in a longer stripe to fill out the keyboard! 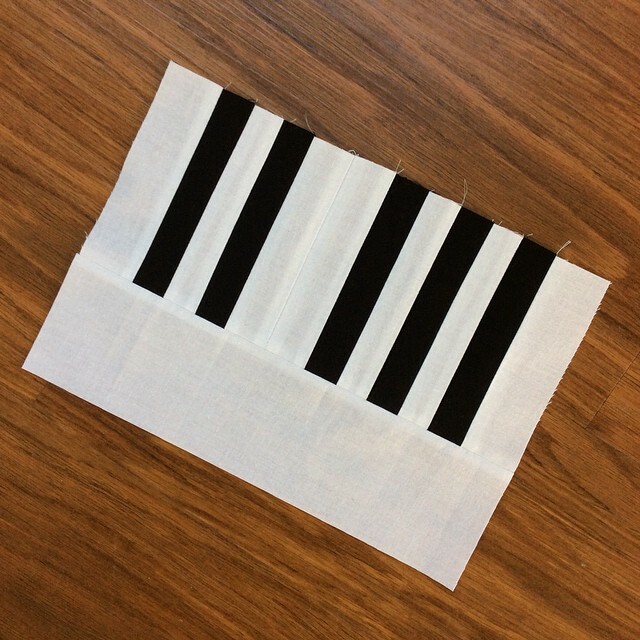 NOTE: I used a “fat quarter inch” seam allowance to sew together the piano keys (top portion of the block). To do this, I nudged my needle one position to the left and sewed as if I were going to create a normal quarter inch seam allowance. If you are unable to move your needle to the left, simply sew a normal quarter inch seam allowance and trim as necessary. Linking up with Tips and Tutorials Tuesdays @Late Night Quilter. Thanks for sharing my block 🙂 I hope you get loads and loads of submissions! Thanks for the ideas! It is nice to have more visuals. I can’t wait to see the other blocks you get, these quilts are going to be so fun! I think thsee are cool blocks to make; will be getting them together by Friday. This is a great post Yvonne. It’s like your a helpful thought partner as we mull through all the options. That’s my husband’s faborite term of art. Thought partner. Funny, but appropriate. And thanks for linking up to TTT and helping me keep it going! Thanks for the tutorial. Nice block. Great blocks, I especially love the mermaid. I need to start thinking about mine, so useful inspiration, thank you.